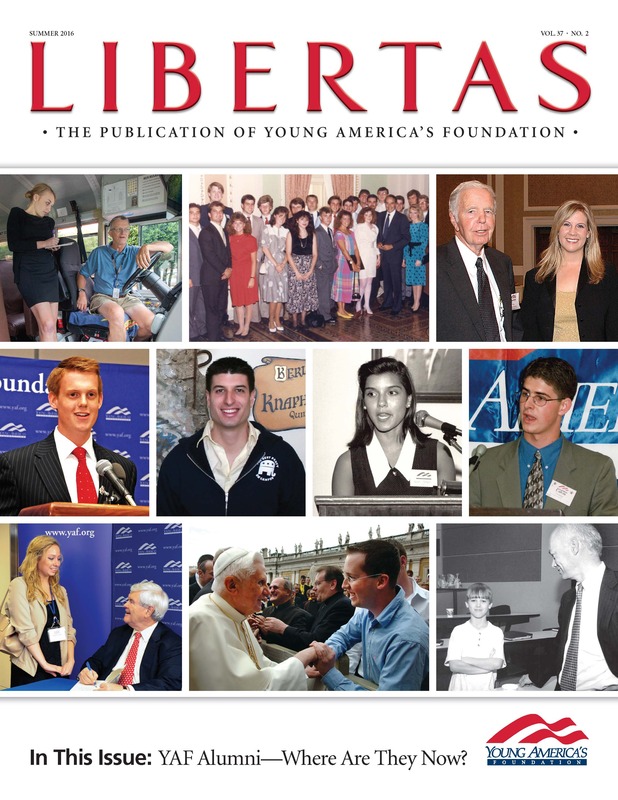 Libertas, a publication of Young America’s Foundation, highlights the programs, events, students, staff, and supporters of the Foundation. 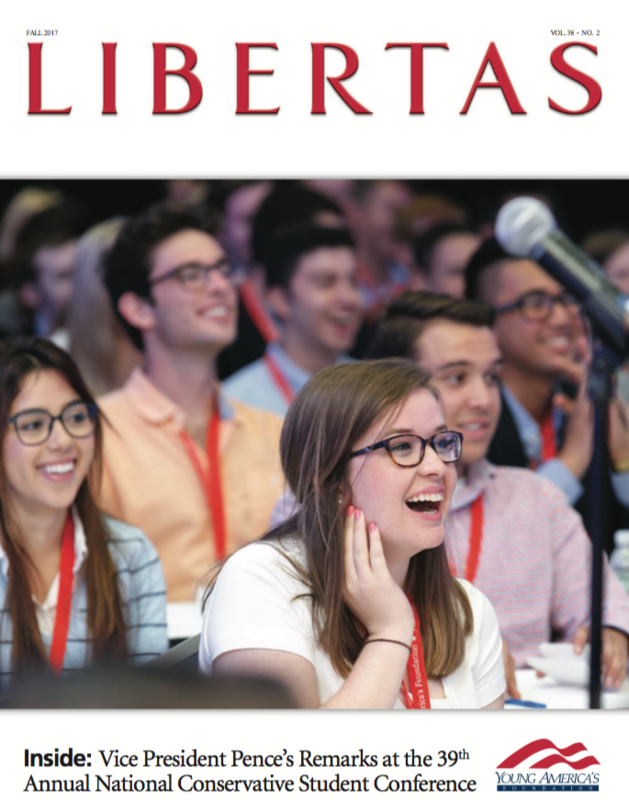 If you would like to receive Libertas in the mail, click here to submit your mailing information. 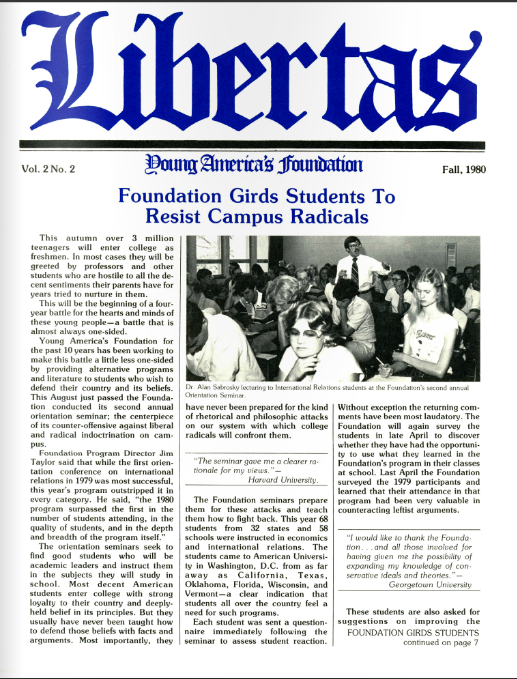 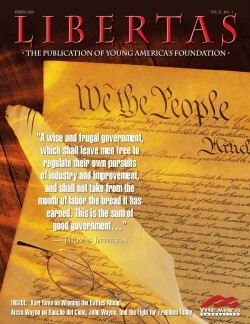 Any use of Libertas’ content without the written permission of Young America’s Foundation is prohibited. 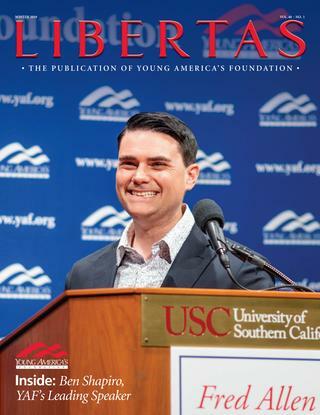 Daily Wire Editor-In-Chief Ben Shapiro — speaking at the University of Southern California 9n 2018 — YAF’s most sought-after campus speaker, reaching capacity audiences at schools nationwide and millions more online. 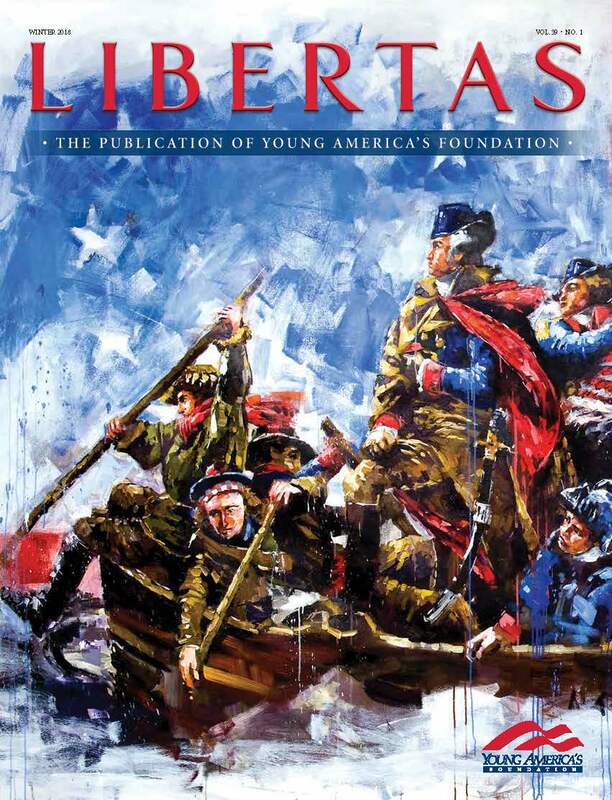 The special fold-out cover features award-winning artist Steve Penley’s version of“Washington Crossing the Delaware.” Young America’s Foundation has acquired a copy of this masterpiece for display in Dale Phelon Hall at our national headquarters. 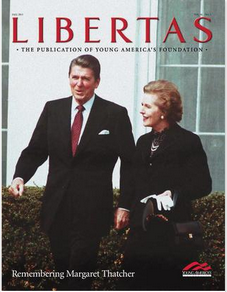 Mr. Penley previously gifted several of his iconic paintings featuring Ronald Reagan for display at the Foundation’s Reagan Ranch Center in Santa Barbara. 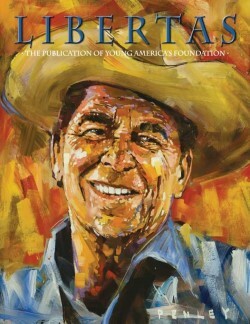 For more information about Steve Penley, visit penleyartco.com. 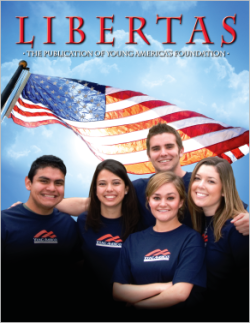 On the Cover: Students from around the country gain inspiration and knowledge at YAF’s 39th annual National Conservative Student Conference. 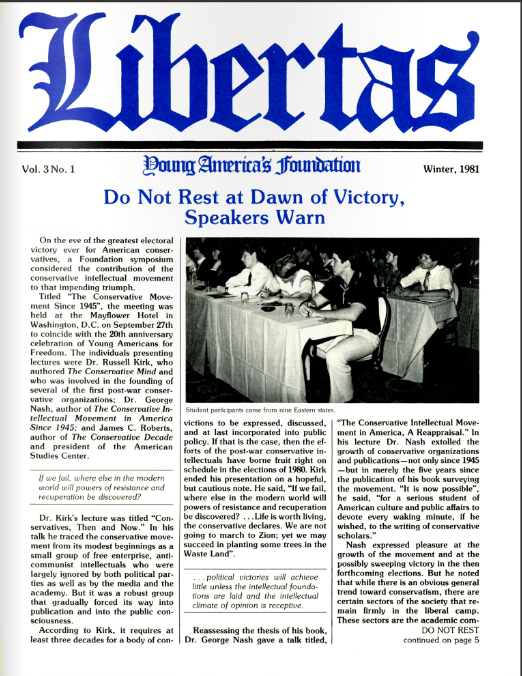 On the Cover: William F. Buckley, Jr. addresses a Young Americans for Freedom gathering during YAF’s early years. 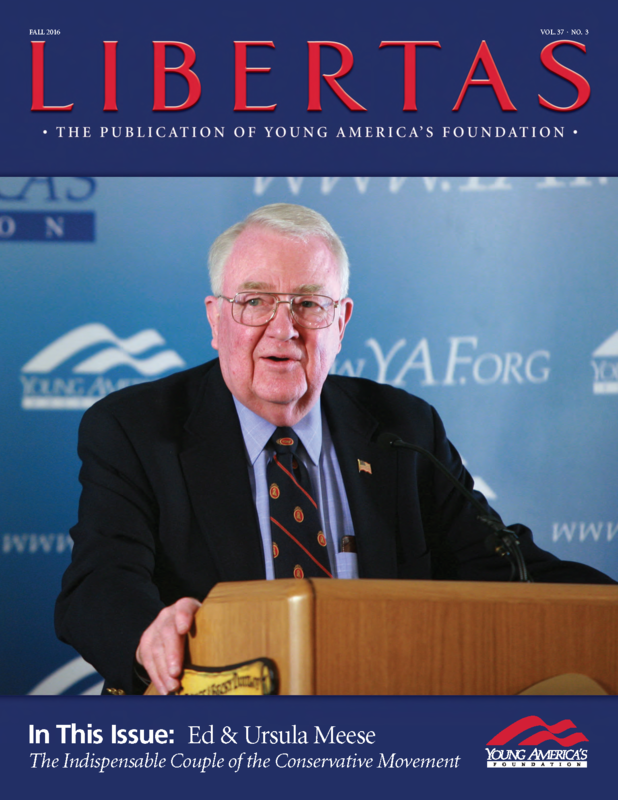 On the Cover: Young America’s Foundation has been honored to partner with Ed & Ursula Meese for more than two decades. 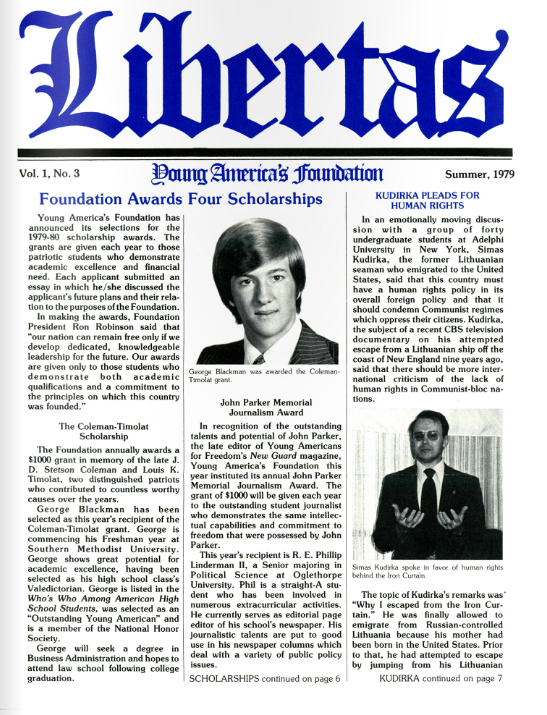 Their accomplishments, integrity, and dedication to the cause of freedom make them among the Conservative Movement’s—and our country’s—finest leaders. 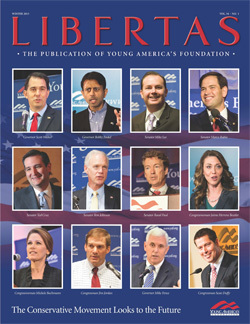 We are honored top profile them in this issue of Libertas. 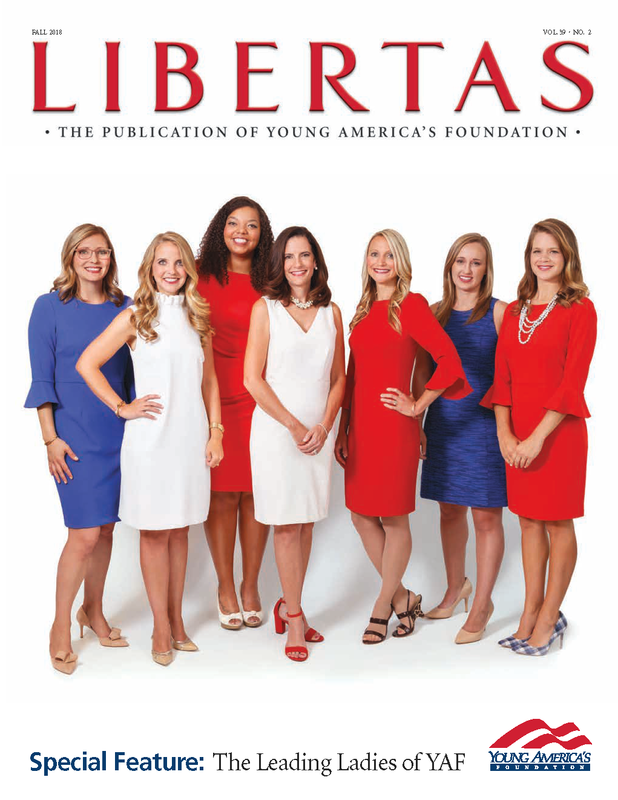 On the Cover: The Foundation alumni featured in this issue got their start in the Conservative Movement as young leaders in the Foundation’s programs. 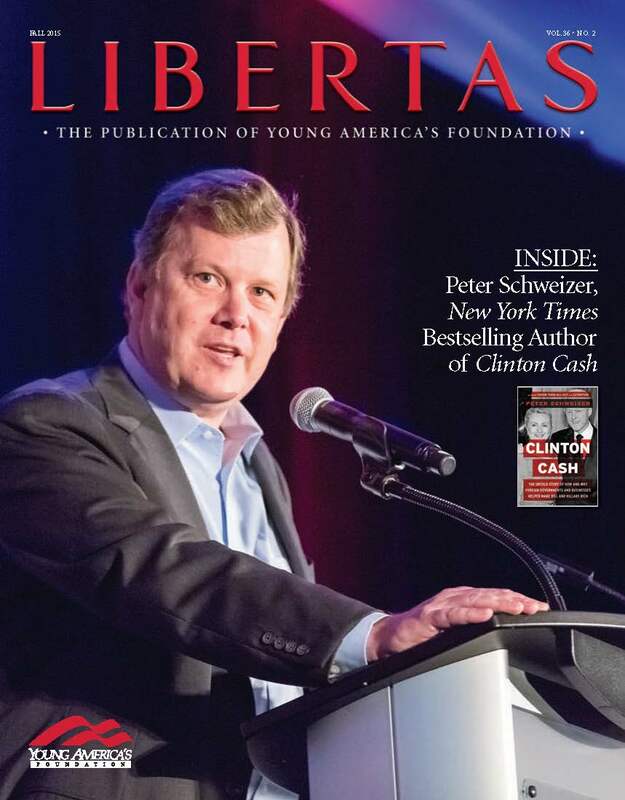 On the Cover: New York Times bestselling author Peter Schweizer began his long journey with Young America’s Foundation as a high school student attending our 1982 National Conservative Student Conference. 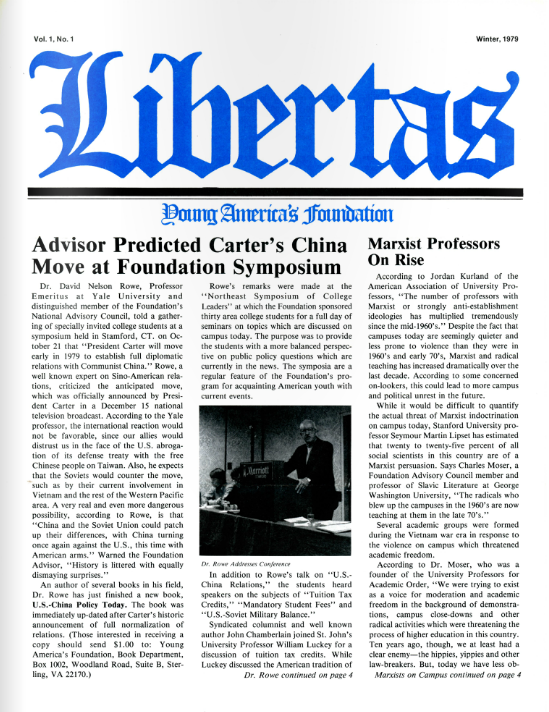 He is currently a Foundation director as well as president of the Government Accountability Institute and senior editor-at-large for Breitbart News. 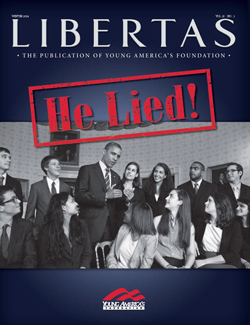 His most recent bestseller, Clinton Cash, has garnered national media attention since it’s release earlier this year. 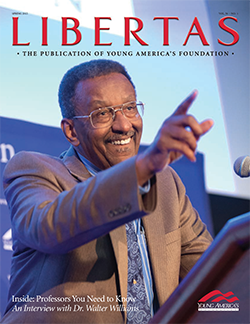 On the Cover: Dr. Walter E. Williams, the John M. Olin Distinguished Professor of Economics at George Mason University is among the Foundation’s most popular and longest-serving faculty members addressing our student programs. 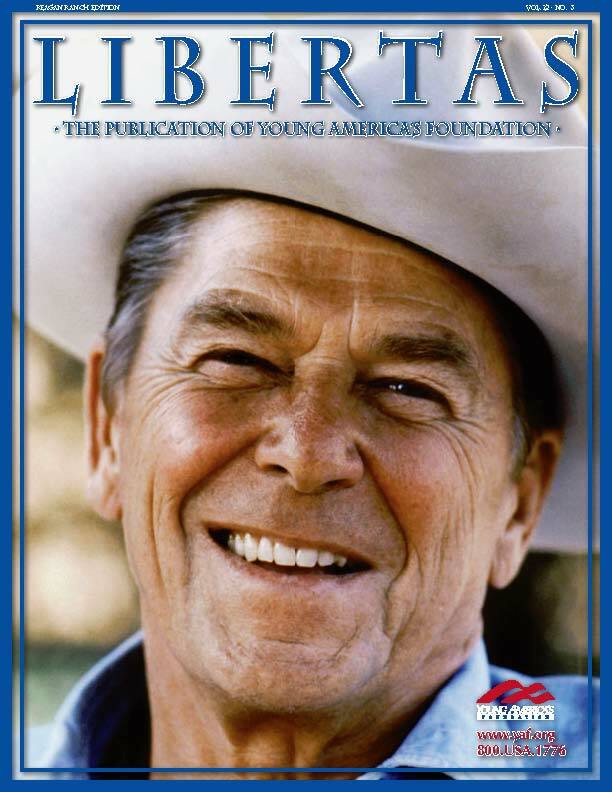 On The Cover: This well-known image captures President Reagan at Rancho del Cielo in his much-preferred riding attire—blue jeans, a work shirt, and his cowboy hat. 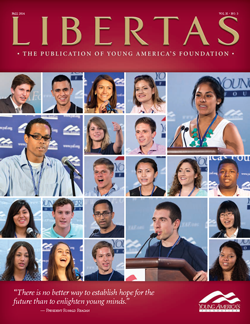 On the Cover: At every Foundation program, students introduce themselves and share why they are attending that particular event. 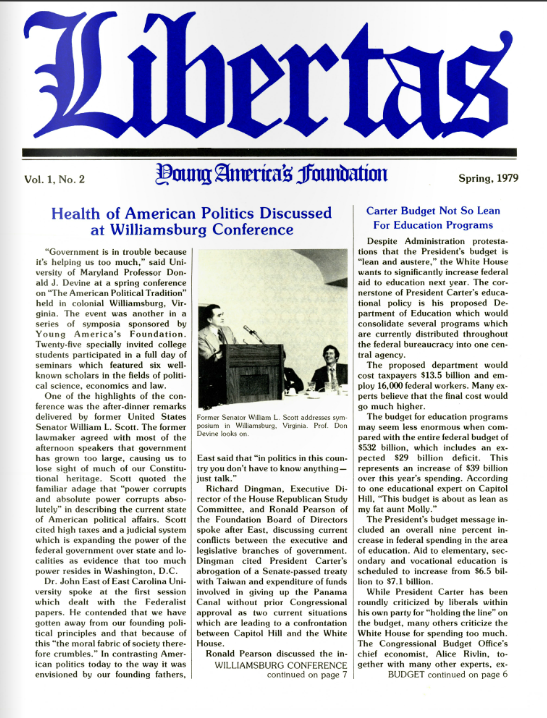 On the Cover: Dr. Paul Kengor addresses Young America’s Foundation’s high school conference at Grove City College in Pennsylvania. 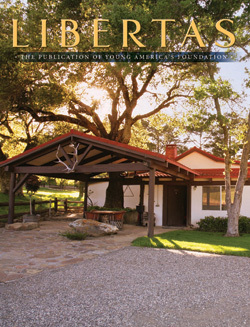 On the Cover: Celebrating Young America’s Foundation’s 15th Anniversary of Preserving and Protecting Rancho del Cielo. 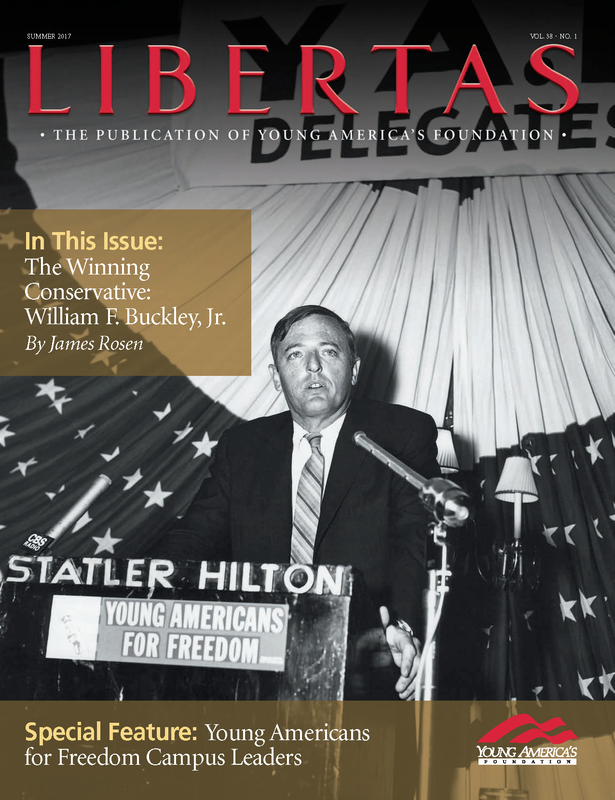 On the Cover: Young America’s Foundation hosts the Conservative Movement’s rising leaders at our programs at the Reagan Ranch Center and nationwide. 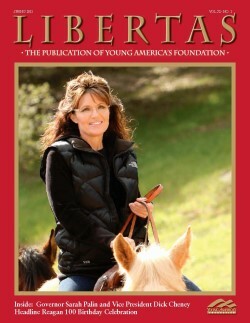 On the Cover: Cover artwork designed by Joel Aaron Carlson. 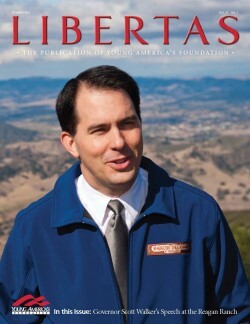 On the Cover: Governor Scott Walker enjoys time at the Reagan Ranch prior to his speech at the 2011 West Coast Leadership Conference. 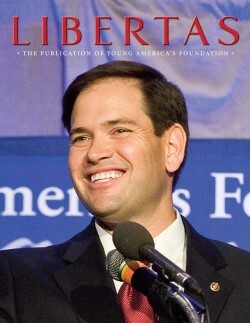 On the Cover: Senator Marco Rubio headlines the Reagan 100 Banquet at the 33rd annual National Conservative Student Conference in Washington, D.C.
Meet Your Alumni Board Members! 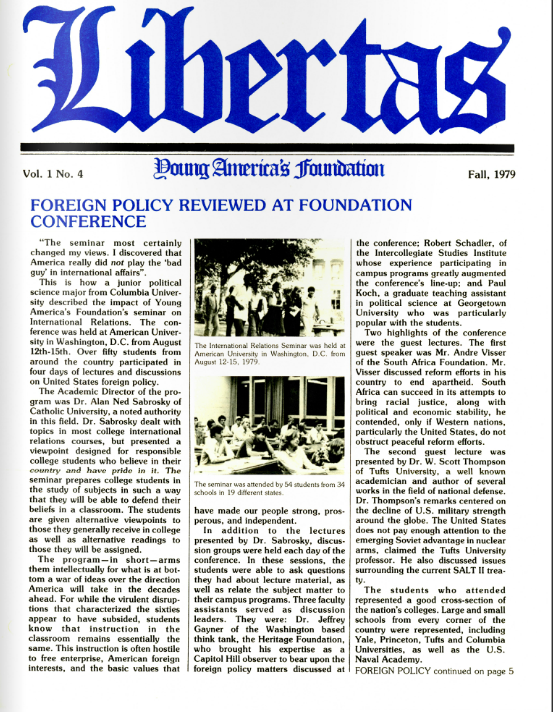 Aissa Wayne shares her thoughts on the Reagan Ranch, her father, and advancing freedom for future generations. 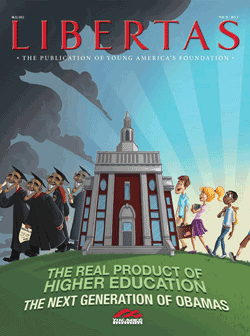 On the Cover: Since 1969, Young America’s Foundation has worked to ensure that increasing numbers of young Americans are inspired by the ideas of individual freedom, a strong national defense, free enterprise, and traditional values. 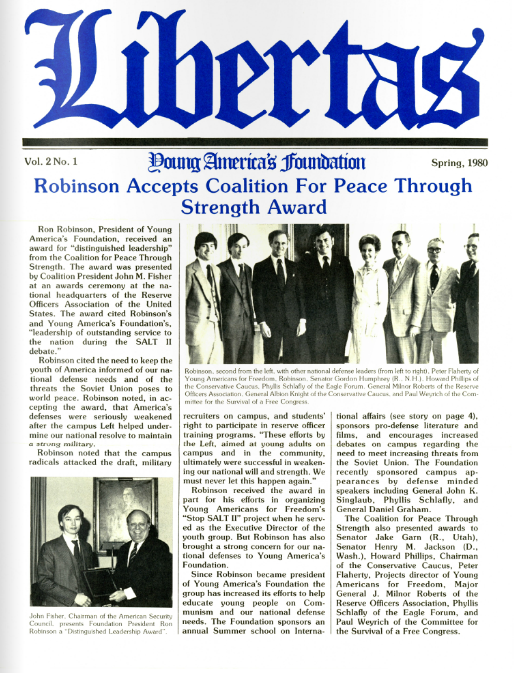 As we celebrate our 40th anniversary this year, we are grateful for the students, supporters, speakers, and friends who have made our programs possible. 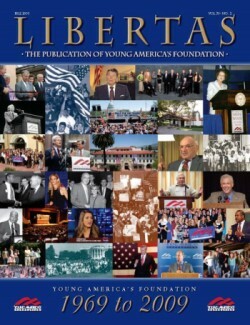 This special anniversary cover includes images from our programs throughout the past four decades, including photos of leading conservatives William F. Buckley Jr., Robert Novak, Ronald Reagan, Ann Coulter, Newt Gingrich, and others who have played key roles in the Foundation’s outreach, success, and growth . 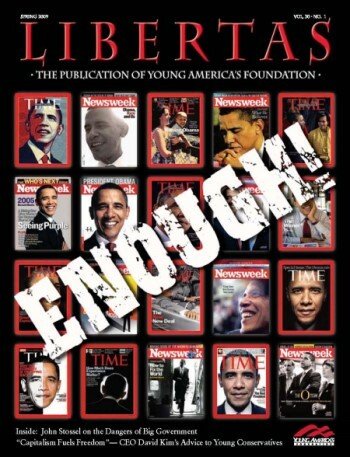 On the Cover: President Barack Obama has appeared on the cover of Time and Newsweek more than 30 times since his first cover appearance in 2005. 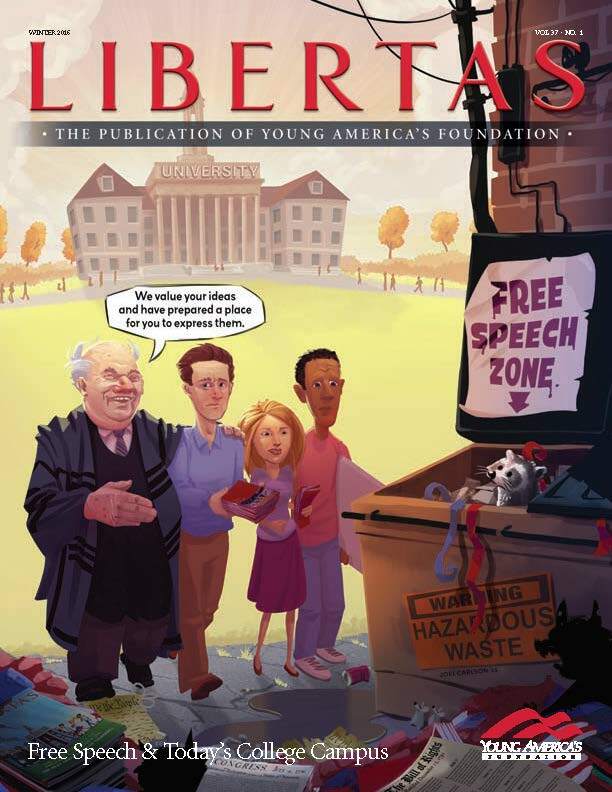 For years, Young America’s Foundation President Ron Robinson has advised Foundation student audiences that they can recognize the mainstream media’s bias with ease by simply reviewing the covers editors select for their weekly publications. 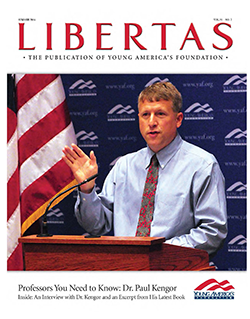 His popular presentation includes more than 150 cover images highlighting the favorable and often iconic portrayal of liberals versus unfavorable and critical depictions of conservatives. 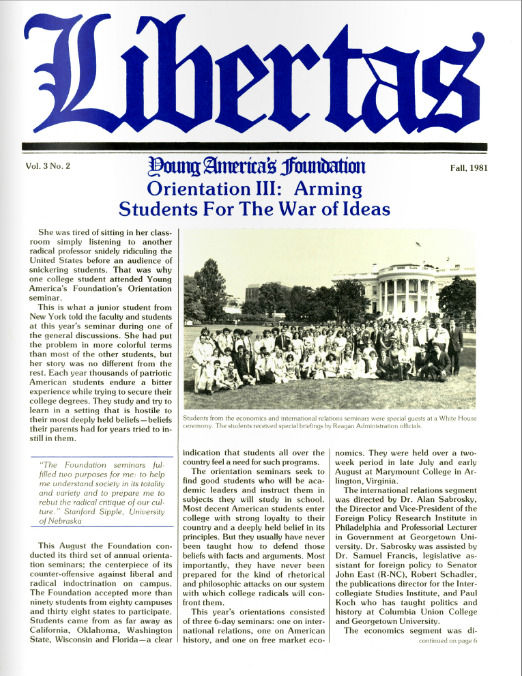 Also in This Issue: • Senator DeMint Addresses 200 Interns • Cold War Experts Share Lessons with Youth • Meet the Unsung Heroes of the Conservative Movement • Attend an Upcoming Foundation Conference Near You! 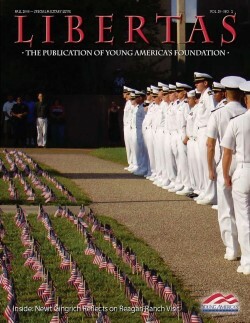 On The Cover: Members of the Texas A & M University – Galveston’s Color Guard take part in Young America’s Foundation’s 9/11: Never Forget Project and stand beside their display of 2,977 American flags representing those murdered on September 11, 2001.